Max Fun Casino is a new 2018 venue for gambling Aussies. It features a no deposit sign-up bonus, promos for newcomers and loyal players, and hundreds of slots games, table and live dealer games, bingo, video poker, and even races. Max Fun Casino has an excellent welcome package for new players that can reach up to $6,750 in free cash for the first 5 deposits. It's a great way of getting acquainted with this new casino that caters to the needs of Aussie players. With good payment methods and loads of promos and games to try, the casino is a fresh breath of air. Australian players can use the instant play, no download casino on desktop and mobile devices. Pokies – hundreds of different pokies games, including video slots, progressive Betsoft games, or classic three reel options: Mighty Kong, Thunderstruck II, Wild Diamond, Safari Deluxe, Ancient Giants, Hercules, Beowulf, and more. Classic Pokies – The Golden Owl Of Athena, Bing Bang 3 Lines, Fruit Slot 3 Lines, Crazy Pizza and a lot more. Table Games – American Blackjack, Pontoon, Zoom Roulette, Roulette, Royale Blackjack, European Blackjack and more. Video Poker - Jacks or Better, Poker 3 Heads Up Hold'em, Multihand Joker Poker, Pyramid Aces and Faces etc. 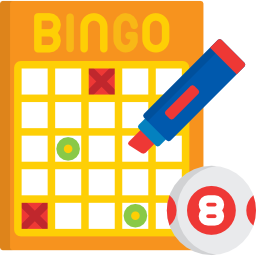 Bingo – Dollar, Quarter, Game of Thrones, Desperate Housewives, Eclipse Bingo and more. Races (their latest addition) – these are short tournaments where players can compete against one another for prizes. Comprehensive casino reviews contain information on casino banking options. This Max Fun Casino review will tell you that the venue enables players to use safe, fast, and 100% reliable deposit and withdrawal methods. All deposits are instant and they have a zero-fee policy (except for credit/debit card deposits, where some fees may apply). Minimum deposit: $10. Withdrawal requests are processed Mon-Fri and reviewed within 72 hours. Players must meet all wagering requirements on all bonuses they wish to claim. Max Fun Casino is licensed and regulated by the Curacao Gaming Commissioner and the Government of Curacao. Gamblers' safety and security are highly prioritised by the casino's strong responsible gaming policy. Powerful SSL encryption software is used for all banking interactions. Customer support is available 24/7 via email. The FAQ section is quite comprehensive and will answer most of your questions. There is no currently no live chat or phone support options. Sign up with Max Fun Casino today and claim your first 200% deposit bonus! Max Fun Casino shares the excitement of their recent launch by offering new players an incredible welcome package deal worth up to AU$6,750. The 25 free spins players receive on registration, the cashback bonuses and the rest of the weekly/monthly promotions all make for an excellent reward system that is currently hard to compete against. New players who sign up receive 25 Free Spins off the bat, no deposit required. Australian gamblers can actually spin those reels for free and win up to $100 real money. The maximum amount that can be withdrawn here is $100, with 20x wagering requirements. A 1st deposit is necessary. The minimum deposit is $10, with 35x wagering requirements (deposit + bonus). Players who register via mobile devices can also benefit from the bonus package. Magnificent Monday brings players who deposit at least $200 an exclusive 200% bonus. High-Stakes Tuesday, Wonderful Wednesday, and High-Stakes Thursday brings passionate gamblers a 150% match bonus for all deposits between AU$100 to AU$199. Full House Friday - all deposits of AU$200 and higher get a 250% bonus. Super Saturday brings a 300% bonus on all deposits between AU$500 to AU$999. Super Sunday brings mellow Sunday gamblers a 150% bonus on deposits between AU$100-AU$199. Every month, Max Fun Casino organises a lot of tournaments for gamblers eager to compete against other players. And the prizes are amazing: cash rewards, luxury trips to exotic place, and even expensive cars. The casino also enables players to join the Weekly VIP competition three times a week and win between AU$250 to AU$2,500. All players receive a 15% Cashback on a Monday basis on all their deposits during the past week. Players lose their right to collect the Loyalty Cashback bonus provided they had an approved withdrawal during that week. The site offers an impressive selection of tournaments featuring huge cash prizes, including: The Grand VIP Tournament, Sunday Storm, 5th Street Race Championship, Tiger's Claw Race Party, Super Sunday Reel, Thermal Thursday, Million Dollar Party Bingo Tournament, weekly New Player Tournaments, Table Games Tournaments, and a lot more. Check out the Promotion' section of the site to stay up-to-date with all the latest additions.